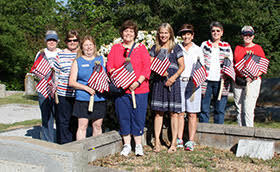 William Day members placing flags on the graves of veterans at the Duluth City Cemetery. We place flags each Memorial Day and Veterans Day. 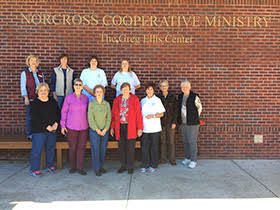 William Day members volunteering at the Norcross Cooperative Ministry, assisting in the food pantry. Many cards of thanks and baskets of goodies from William Day members, being delivered to the Duluth Police Department. 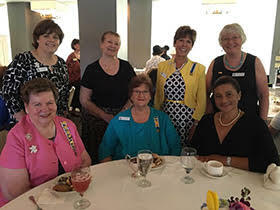 William Day members enjoying a special afternoon together.